GRAMBLING, LA – Do you have a good idea to help make Grambling State University even better? We want to hear it! Grambling has launched an electronic suggestion box to encourage students, faculty, staff, alumni and anyone interested in helping Grambling State University to send in their suggestions for the university. President Willie Larkin and top university leaders will review the suggestions. Suggestions or ideas could be about recruiting students, fundraising, curriculum recommendations, what time football games begin, attracting corporate supporters, working with the alumni, campus beautification, constructing buildings, safety issues/concerns, strategies on building up school spirit, or any other topic that can help improve Grambling. 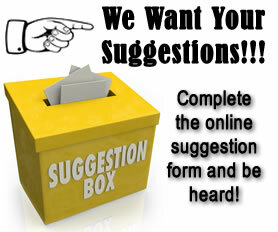 Visit www.gram.edu/suggestion to make a suggestion today!